When Vilachack served a tour in Qatar, he found time to take the weight room seriously. Follow his complete program and see how he won our 2011 Military Challenge! The United States military is a very large, extended family. The disparate branches are like in-laws connected by marriage of the joint chiefs, flush with friendly competition against each other and not-so-friendly actions against combatants across the globe. The U.S. Air Force dates back to 1907 (3 years after the Wright Brothers first flew), when the U.S. Army Signal Corps formed an Aeronautical Division. This experimental group pioneered air combat techniques that would give the United States dominion over the air for the last century. Behind the scenes of modern combat are airmen like Vilachack Ladara, controlling combat air traffic with technology from a distance. While Marines and Army units scour the ground for insurgents, the Air Force patrols the skies providing support postured to rain fire upon the enemy. Ladara understands his pivotal role in the armed services. When Vilachack served a tour in Qatar, he found time to take the weight room seriously. 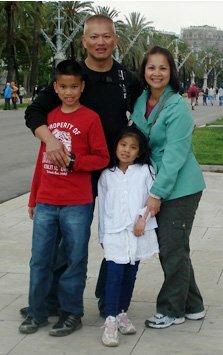 Follow his supplement program and see how he won our 2011 Military Challenge! If you've ever eaten an MRE, you know how the military feeds its servicewomen and men. Now that Vilachack Ladara's tour is done, he has more options. Here's his plan! 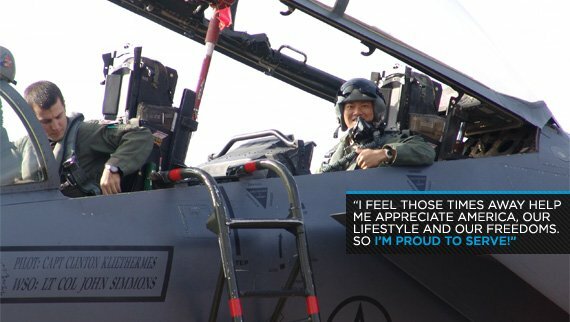 When deployed to Qatar in 2001, Vilachack decided to go after the Bodybuilding.com Military Challenge, and the Air Force Captain beat out hundreds of other servicemen to claim the title. Vilachack is an active duty Air Force airman. His primary job in the Air Force is an Airfield Operations Officer, but he is currently assigned to headquarters staff working as a combat airspace manager for AF special ops in Florida. He was commissioned an officer in 2003, after serving as an enlisted air traffic controller. His wife, Valerie has stuck by him for the last 20 years. He said she's mastered cooking meals that meet his macronutrient requirements. The couple has 2 children: Gavan, 13, and Madeline is 8. "My family is my motivation for just about everything I do," Ladara said. "They are at the forefront of my life choices. Before I made any major decision, such as work assignments, my education, or training, I would ask myself, "How would this affect my family or my time away from them?" This family man is not a professional bodybuilder. He is not a model working his way into competition shape. He is a father and airman who, while on deployment, chose to use his time to get back in shape. The military challenge at Bodybuilding.com gave him a target to shoot for. He had seven months in Qatar, away from his family and all the extra work at home. It's partially that family-man lifestyle that kept him out of the gym. He had to drop some of the hobbies he juggled (golf, tennis) and focus on supporting his progeny. "The timing was perfect," Ladara said. "I had nothing else to do but work and workout. I was perusing the Internet (I am a bodybuilding.com shopper). I looked at the detail of the challenge and thought I should go for it." Now that Vilachack is back stateside, he runs with his teenage son, and even has him in the weight room sometimes. "He's finally at the age where he can come out with me to the gym and lift some weight and that's exciting," Ladara said. "He complains, he's a little sore, but hopefully with time he'll see some muscle building on himself and he'll enjoy it more." Military membership tends to run in the family. Should young Gavan follow his father's path, America will be safer for it. Answer these 3 questions with either "YES, DRILL SERGEANT!" or "NO, DRILL SERGEANT!" YES DRILL SERGEANT! I failed a graduate course once because I didn't complete my assignments because I thought they were too difficult. I did learn a valuable lesson from it though: "Master Classes are expensive." I retook the class and subsequently passed with an A. If you had to choose between saving a fellow soldier and saving your own skin, would you risk life and limb? Have you ever eaten/used an entire MRE in one sitting? YES DRILL SERGEANT! I've eaten 2 at one sitting! I made my share of mistakes and poor decisions, but I wouldn't take them back. As long as I learn from those mistakes and grow as a person, I don't need to regret them. I thoroughly enjoyed my military service thus far. I traveled and lived in places not many Americans get the opportunity to. I lived in the Arctic Circle for a year in Greenland, had a 3-year stint in Hawaii, and lived in Japan, Europe and America. I travelled most of the world and worked with many foreign militaries and learned from all of those experiences. Can you believe someone actually paid me to do that? I don't have any regrets, even with the deployments and time away from family. I feel those times away help me appreciate America, our lifestyle and our freedoms. So I'm proud to serve! For more information on Vilachack, check out his BodySpace or Facebook pages.